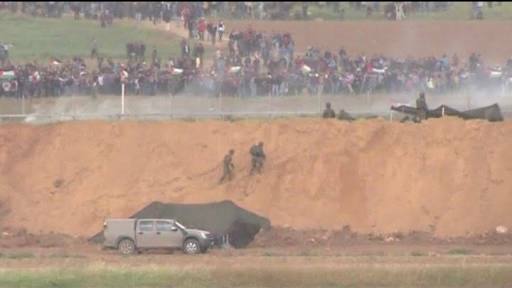 Palestinians in Gaza have marched in their thousands to the Israel border at the start of a six-week-long protest. The Palestinian health ministry says at least seven people have been killed and 350 wounded, many of them by Israeli gunfire. The Israeli military reported "rioting" at six places and said it was "firing towards main instigators". Palestinians have pitched five camps near the border for the protest, dubbed the Great March of Return. They are demanding that refugees be allowed to return to homes that are now in Israel.